The Strathwood Brook collection features handsome furniture with superb weather resistance and maintenance-free care, making it ideal for outdoor use. 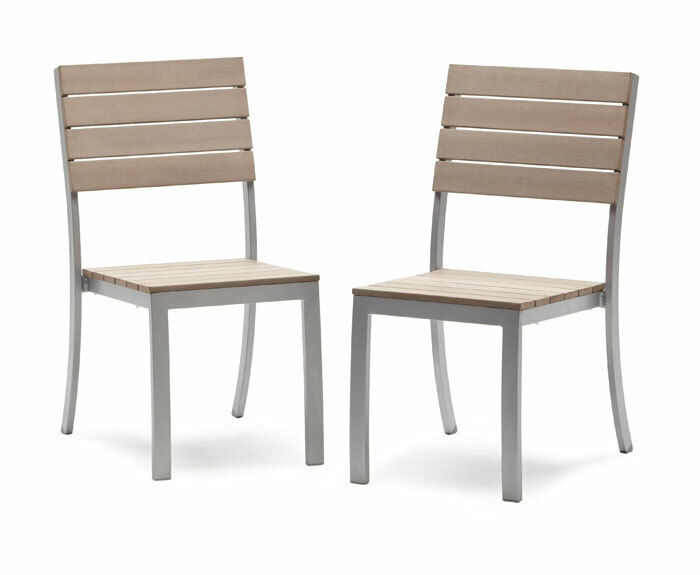 As part of the Brook collection, this set of two contemporary chairs can be used with an outdoor dining table or simply on their own. Either way, the chairs infuse comfort and style into any outdoor living area. Whether placed on a front porch or backyard patio, the chairs add welcoming charm to leisurely breakfasts, coffee with a friend, or alfresco-style dining on warm summer evenings. 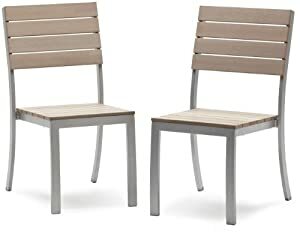 The eye-catching chairs feature a lightweight silver-colored aluminum frame (powder-coated for year-round rust resistance) and tightly spaced resin slats, natural colored for the look of real wood. The durable resin material is intended to stand up to the elements and last season after season. 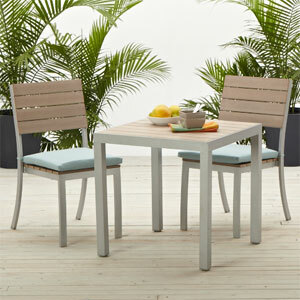 Even more, the armless chairs coordinate beautifully with the Brook bistro table or dining table (both sold separately). For further accessorizing, pair the chairs with the Brook dining chair cushions (sold separately). 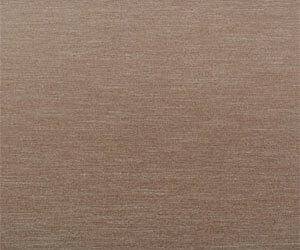 Available in multiple colors, the cushions clean easily and are UV-treated to resist fading. 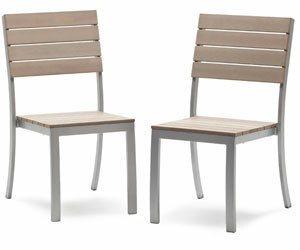 The compact dining chairs measure 19 inches long by 25 inches wide by 35 inches tall and weigh 8 pounds. No assembly is required. Use and Care: The chairs should be brought indoors or securely covered during inclement weather and stored in a dry place when not in use. Strathwood furniture has quality, ease of use, and casual elegance at its core. Each piece is rigorously tested for durability, and assembly instructions have been standardized for simplicity from start to finish. Strathwood furniture is sleekly designed, handsomely finished, and built to last. 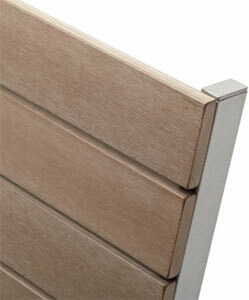 The modern style and reliable craftsmanship will weather ever-changing trends and regular use for years to come. 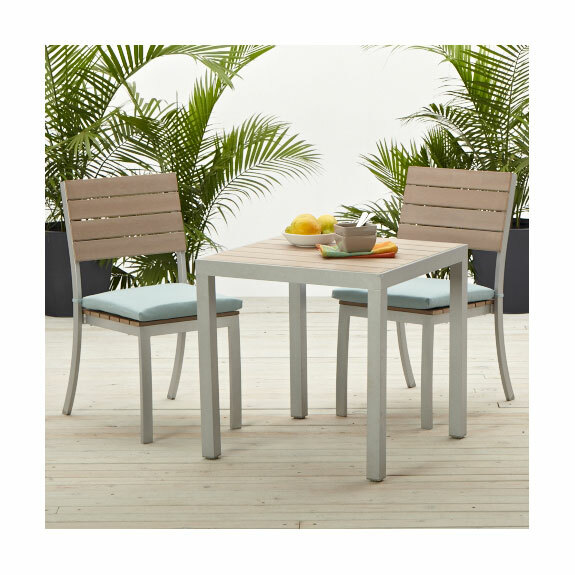 Armless dining chair adds comfort and style to any outdoor living area. View larger. 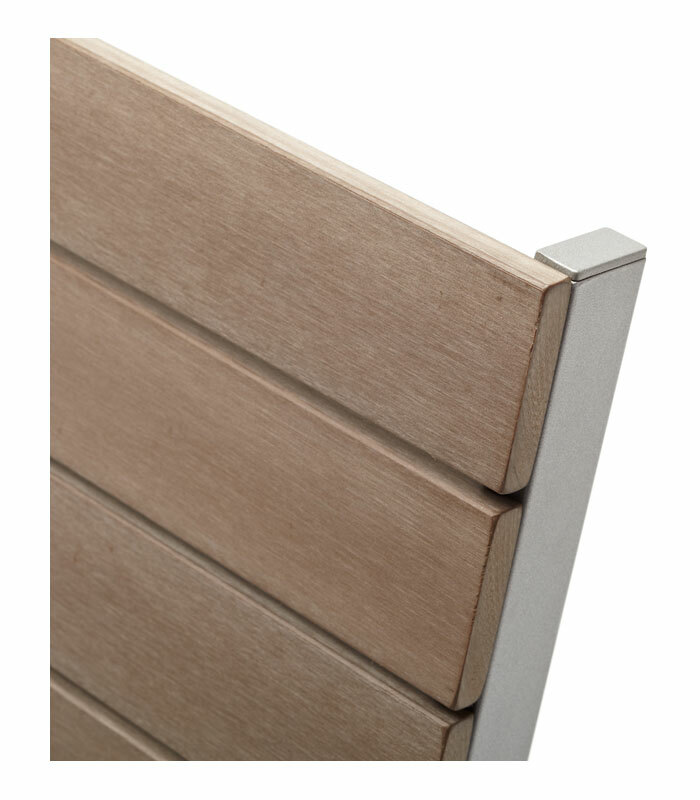 Powder-coated aluminum frame with tightly spaced resin slats. View larger. 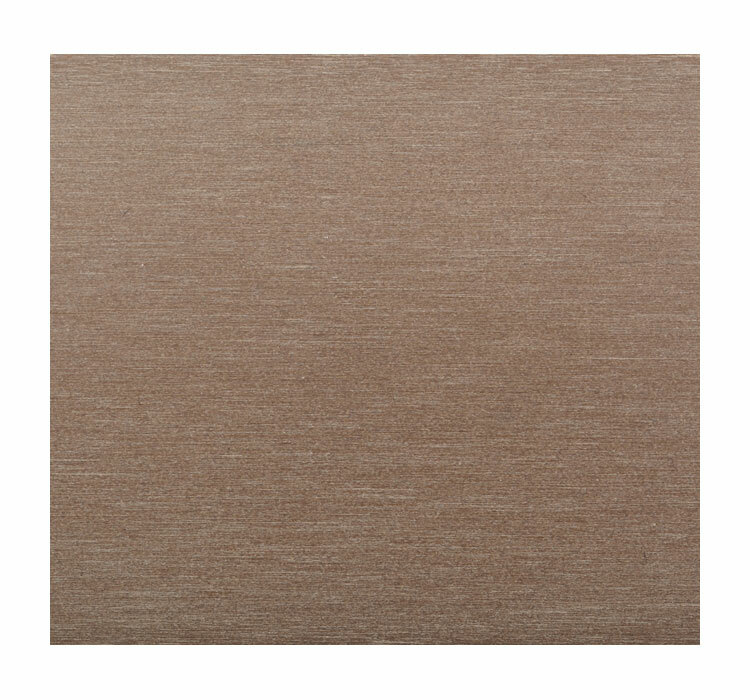 Natural-colored resin for the look of real wood. View larger. Coordinates with Strathwood's matching Brook table (sold separately). View larger.